Two police officers are among eleven people arrested on suspicion of a drug dealing ring supplying with cocaine and cannabis several cities across Greece. Next to the police officers arrested were also six more Greeks and three Albanian nationals. The ring leader is believed to be also Albanian and is at large. 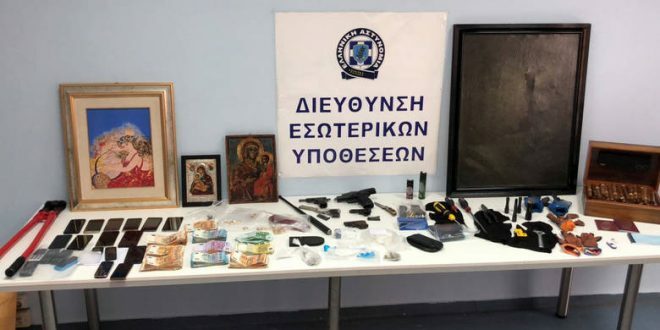 One of the police officers was working in the organized crime department of Greek Police, the other was serving at the police station of Grevena, in Northern Greece. Both were on leave, one on parental leave and one due to health reasons. The officers were suspended from duty, in addition the Greek Police has ordered an administrative investigation against them. According to Greek media, one of the police officers arrested is son of a former MP. The gang was active for the last four months at least in Attica and two cities in Thessaly and Peloponnese.